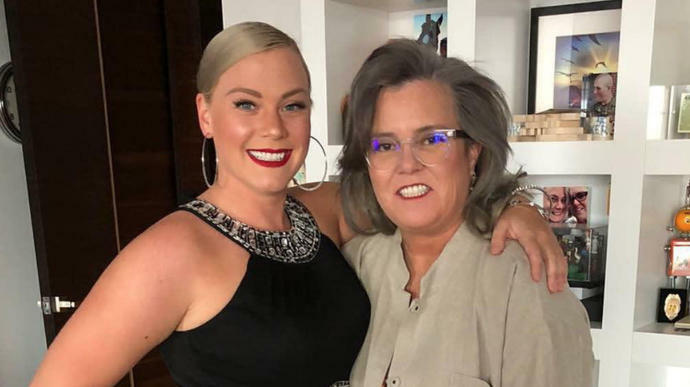 Rosie O'Donnell is engaged to her girlfriend, police officer Elizabeth Rooney, after a year of dating, the couple confirmed to People. A date has not been set, but O'Donnell told the magazine it would be a "long time in the future." The 56-year-old actress and comedian reportedly asked Rooney, 33, to marry her over the summer, but the two had been keeping the news under wraps. A source told Radar that the two kept their impending nuptials under the radar because Rooney is a police officer and "likes to keep a lot of those details on the low." O'Donnell joked about the age gap between the two. "I keep telling her I'm too old for her. But she doesn't seem to care," she told People. "She's like, 'I was in the Army! I put my life on the line every day you think I don't know who I want to date?' I'm like, 'Alright I guess that's true.' She has a lot of good points." A representative for O'Donnell did not immediately respond to HuffPost's request for comment. O'Donnell and Rooney have been together publicly since November 2017, two months after O'Donnell's ex-wife, Michelle Rounds, died of an apparent suicide. Rounds and O'Donnell divorced in 2015 after three years together. This will mark O'Donnell's third marriage and Rooney's first.